Over 100 sets on display in the store! 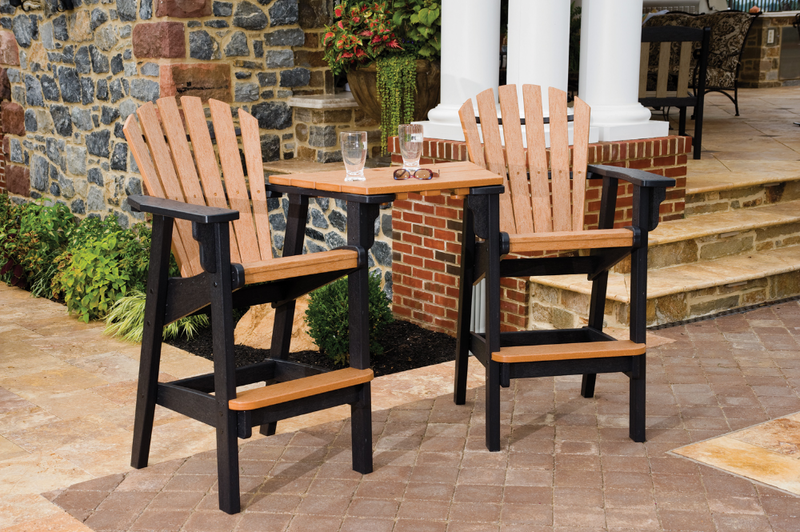 Dining Sets • Fire Pits • Deep Seating • Amish Poly! 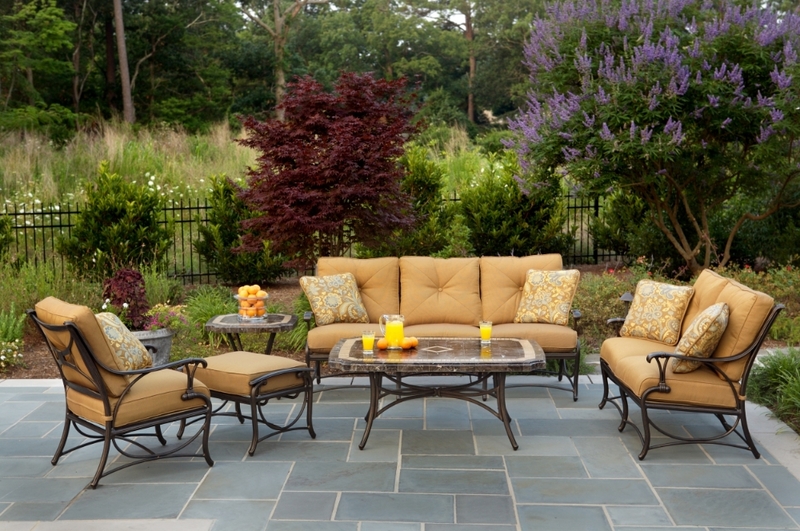 Patio Furniture Buying Tips from the Expert. 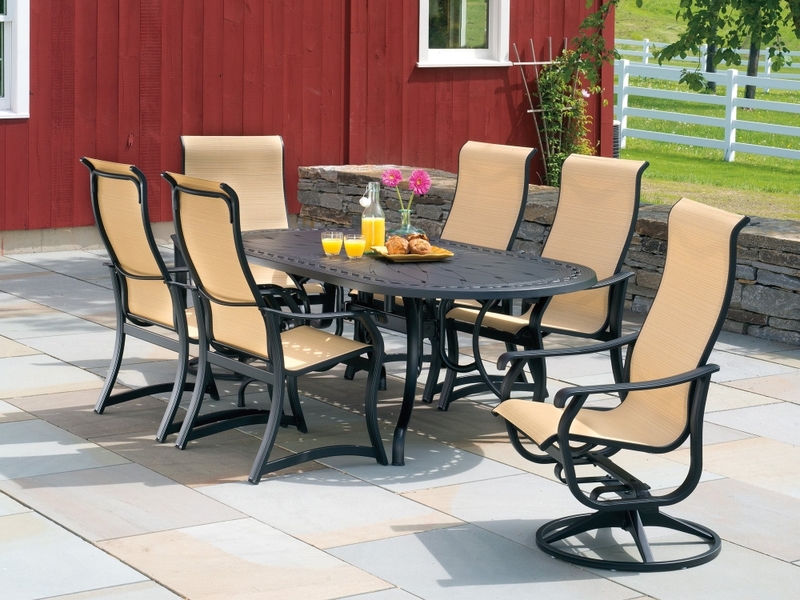 Specialty patio stores such as Jerry’s For All Seasons, are the best places to look. Avoid big-box stores and department stores. Take the “thump test". Good quality, heavy wall aluminum frames will have a "thud" sound when thumped. Cheap, thin wall aluminum frames will have a "tink" sound when thumped. Are the fabrics truly outdoor fabrics? Have the fabrics been "UV"Tested? Sit in the furniture-is it comfortable and roomy? Notice the cushions—do they feel really light and too soft? If so, they are made only with fiber which will flatten or"pancake" in no time, leaving you with a saggy cushion that is uncomfortable. Are the furniture legs supported by braces? When you sit in the furniture do the legs "walk" or tend to spread out? Braces will eliminate this design defect. If nuts, bolts and washers are used, are they stainless steel or regular steel? Stainless steel hardware is more durable and will not rust. Regular steel will rust. Be aware that some poor-quality manufacturers will put steel rods into the aluminum frames to make the thin wall aluminum frame feel substantial. Due to the condensation that naturally develops inside the hollow aluminum frames, the steel will quickly rust and the stains will seep out leaving stains on the furniture and the patio or deck surface. Bottom line, looks can be deceiving. Some stores present some nice "looking" furniture but the quality is not as good as the quality of furniture you will likely find in specialty patio stores. Delivery means different things to different companies. Most companies will deliver your furniture in the box it came from at your curb - meaning you are responsible for assembly and hauling the furniture to your deck or pool area. 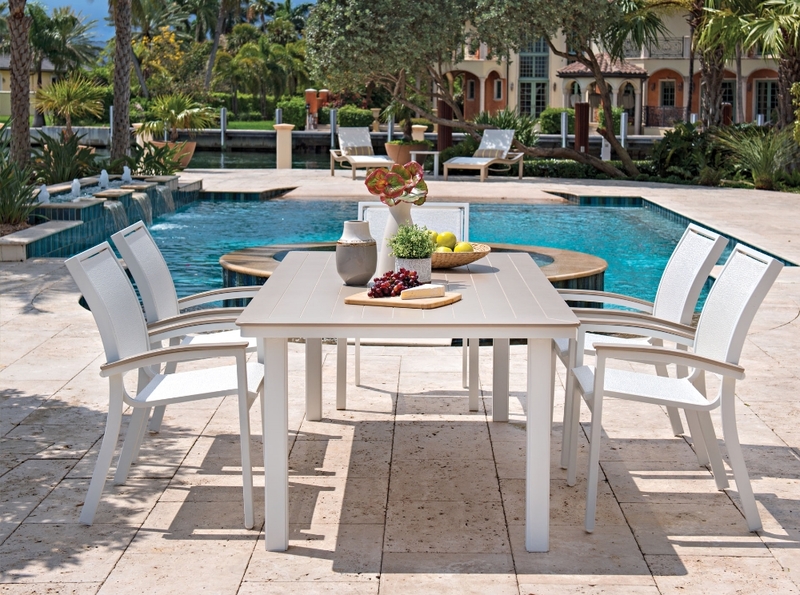 At Jerry's we assemble all your new furniture before we arrive and deliver it straight to your deck, patio, or pool area. 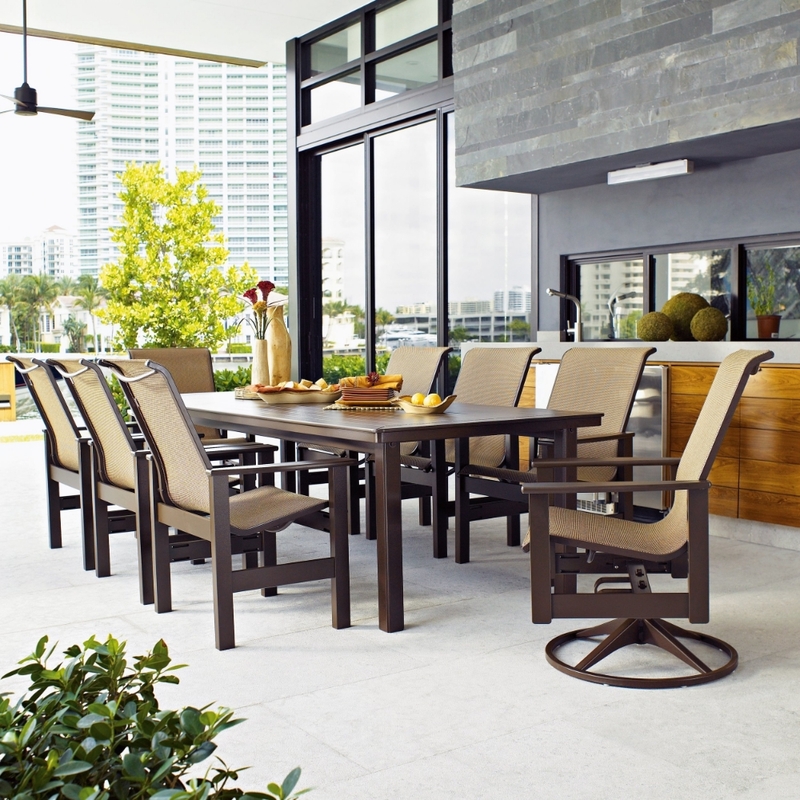 The Patio Furniture Experts at Jerry’s For All Seasons are always available to assist you in selecting the right patio set or pool furniture for your outdoor space. Visit and view our fantastic selection of premium dining, deep seating, and fire pit sets available. We have over 100 sets on display. We welcome you to stop in today. Jerry's is here to help. We proudly hand pick every set, every color, and every brand we offer, so we can deliver the most authentic advice, design tips, and inspiration around. 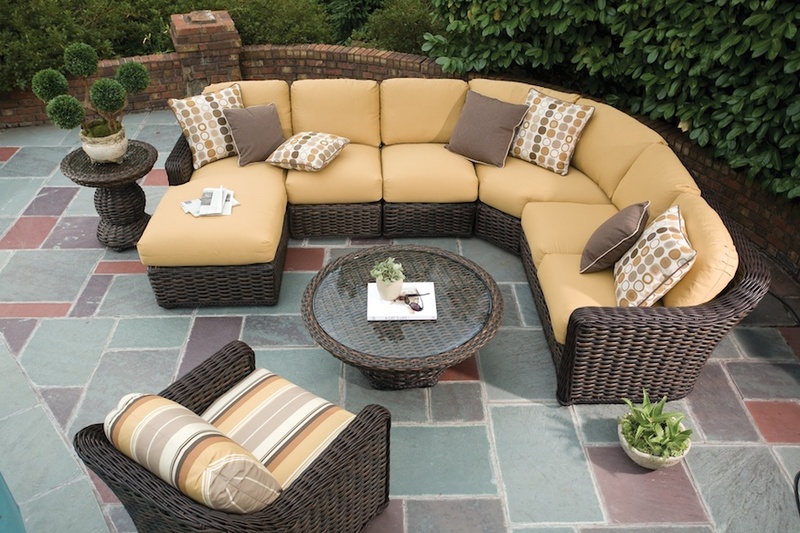 Stop in and talk to one of our patio furniture experts today. We'll be happy to help.